This simple formula will help you delight readers and attract qualified customers… every time. Image by J. Pellgen via Flickr. 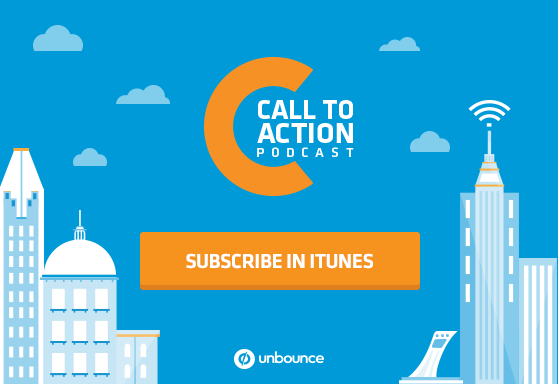 In this episode of the Call to Action podcast, we explore how to write amazing landing page copy. First, we tell a story of what happened when we made our “About Us” page copy a little bit too much… about us. Then, Unbounce’s Dan Levy talks to direct response copywriter Marc Aarons about embarrassing writing habits and an easy-to-remember landing page copywriting formula for making sure you’re simultaneously delighting readers and attracting qualified customers. A Classic Formula for Gut Checking Your Landing Page Headlines by Marc Aarons via Unbounce. Bird By Bird by Anne Lamott via Amazon. The Power of Vulnerability by Brené Brown via TED. In this episode: Dan Levy, Unbounce’s Content Strategist, interviews direct response copywriter, Marc Aarons. Dan Levy: Copywriting is kind of a tough thing to talk about because it, on the surface, seems kind of personal and specific to each company and their audience. 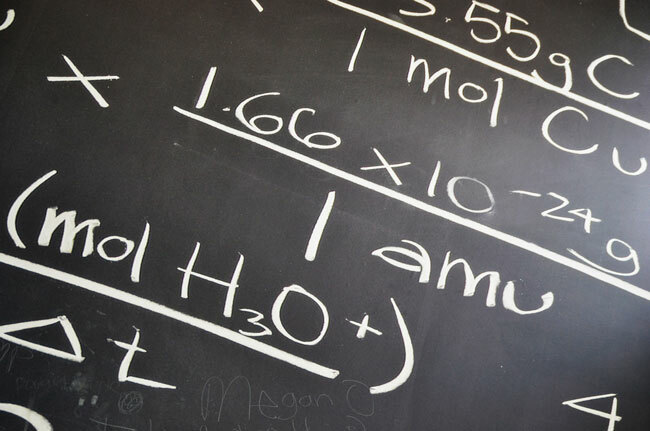 Can it really be boiled down to a formula? Marc Aarons: Yes and no. So it’s such a great question because formulas – I like to think of formulas almost like frameworks. They get us started, and they get us very close to the target. But at the end of the day, you’re always going to want to customize your entire sales message, your landing page, your sales page, video sales letters – whichever advertisement you’re actually creating for your audience. You always want to customize it specifically for them. We always start with the audience. Dan Levy: So tell us about the 4 U Formula. How did that come about, and what are those 4 U’s anyway? Marc Aarons: The 4 U Formula was actually developed by Michael Masterson, and he is best known as a serial entrepreneur. He is also a direct response copywriter, and he helped grow Agora Inc. – I think their financial division – from somewhere in the single digit millions to a nine-figure company. And he developed a number of techniques and innovative strategies that are now taught through the American Writers and Artists Incorporated, one of them being the 4 U Formula. And the 4 U Formula really breaks down into four questions. Is this useful? Is this unique? Is this urgent? And is it ultra-specific to our audience? Dan Levy: Right. I want to get a little more specific there. But first, this post is about using the 4 U Formula on your landing pages in particular. And you say to either pick your headline or your subheadline or your benefits, which are usually in the bullet points of your landing page, when going about using this formula on your pages. Is there a particular one that you should start with? Marc Aarons: So the beautiful thing about writing copy for landing pages is every single direct response copywriter that I’ve spoken to, they start in one of two places. Either they start in the body copy, which here, would be the benefits. Or they start with the headline/subheadline. So it’s either an inside/out or outside/in approach, if you will. Dan Levy: Okay, so either start with the first thing you see on the page, or start with – well, actually, how about the call to action button? Where does that come in? Because I was going to say that’s sort of what the page is culminating toward, right? Marc Aarons: Right. You know, the call to action, I would personally leave that to be the very last thing that I actually write because in the writing process, it’s like Anne Lamott says in Bird by Bird, “You have characters in your story. And as you write your story, they’re going to involve because you’re still getting to know your characters.” And writing a landing page or a sales page or even a video sales letter, it’s very much the same. You’re going to be learning a bit more about your audience and the message that you want to convey as you write the first draft, then re-edit the first draft to get to your second and third. And once you’ve got to your third, once you’ve got the final core message to offer the benefits, then the call to action button – and for some copywriters, the headline – is almost like the icing on the cake. Dan Levy: That’s really interesting. The copywriter Joanna Wiebe talks about starting with your page goal, the call to action button, and working backwards. But here what you’re saying is as the page evolves, sometimes that call to action button might change. Marc Aarons: Yes, absolutely. It can change. However, we always start with the plan, and the purpose of the plan is not just to stick to the plan, but to allow you to deviate from the plan if a better plan starts to make itself available to you. Dan Levy: That’s what you were saying before. A formula is a great place to start, but you have to remain flexible. Dan Levy: So the goal here is to nail at least three out of those four U’s. But if you don’t, how would you go about revising that copy? Marc Aarons: This is also a great question because it brings us right back to the heart of every single landing page and sales message: who is our audience? What is it that they want to accomplish? So if we’re going to ask ourselves – say, for example, we want to make a headline more useful. The question that we’re asking is: does this provide value to the visitor? Or, does it imply that there’s going to be value found if they actually click through and opt in or purchase something? So we start with that question, and then we contextualize it for the audience. Dan Levy: Okay. Before we go into some examples of this, I’d love to hear a little bit more about your writing process. Do you have any specific techniques for getting started writing a landing page, like templates or a spreadsheet filled with notes and ideas? Dan Levy: No, I love it. Let’s get into the weeds here. Marc Aarons: Oh, cool, perfect. Dan Levy: Let’s get nerdy. Marc Aarons: I totally love this part. So we have three kinds of research. You have customer research, you have product research and you have competitor research. And the purpose of customer research is to understand what it is that your audience finds most valuable. What are their burning pains? What are their hopes, fears and dreams? What are their wants and aspirations? The third kind of research is competitive analysis, or competitor research. Then we look at everyone else, maybe even just the top three competitors that are out there, to see what it is that they’re offering, what their unique selling propositions are. Because once we know what else our customers are looking at, then we know how to differentiate ourselves from the competition and everything else that’s out there. Dan Levy: Right. So once you’ve done all this research, how do you collect that into one place and then go about turning that into great copy? Marc Aarons: Oh, so that’s also a great question. I like to use just one document to brain dump everything in, and it’s almost like writing the first draft. The research – you want to separate your research process into collecting and then organizing your data. And if you’re doing it for a client, then there’s also the reporting process as well where you’re going to make it legible or understandable for your client. So the first step, you go through the research process, you collect everything, and you put it into those three different sections – the customer, the product research and the competitor research. Dan Levy: Is that like an Excel spreadsheet or Google doc or something like that? Marc Aarons: Great question – Google doc. You can use an Excel spreadsheet. However, I actually use a combination of both. I use Google spreadsheets as well as Google Docs. Google spreadsheets, especially, if I’m going to be going through a lot of blogs and blog comments and reviewing a lot of books on Amazon and things like that because that just keeps it neatly in one place. Then I’ll actually go into a Google document to create the narrative because I need to summarize it to about just one to two pages, which allows me to glance at it as I’m actually writing so I don’t get stuck in the writing process. Dan Levy: Yeah, I feel like we all have these secretly shameful, messy documents where we dump all our ideas, and then we have to go about cleaning that up and putting it into some sort of narrative for our client or just to make some sense out of it. Marc Aarons: Always. I definitely get messy in my process as well. And then afterwards, to make myself feel like a good human being, I’ll go clean it up. Dan Levy: Totally. In your post, you take a close look at a landing page by Noah Kagan for an email marketing course that he was involved with. So the page passes the 4 U test, but you suggest that he could actually improve on one of his 4 U’s by adding more urgency. Can you break this one down for us? Dan Levy: You also say later in the post, though, that urgency can actually backfire sometimes. How so? Marc Aarons: Totally. So if you push too hard – and this comes right back to knowing specifically who it is that you’re talking to – because if you push the envelope too hard, it’s almost like the used car salesman who’s trying to get you to buy, buy, buy, buy now. It is like, “Whoa, why are you trying to push this so hard?” Maybe it actually isn’t that good, which totally goes into this whole deeper thing of demand and supply and all that kind of stuff. But if you push the urgency factor too high, it will actually repel the person that you’re trying to target, and it may actually attract the wrong kind of person because if you use too much urgency, then you’re going to be attracting people who act on impulse and who respond to that. And you’ll have to continue to sell to them because that’s the customer that you now have in your sales funnel. Dan Levy: There’s a carpet store that’s on my corner that’s been going out of business, I think for six or seven years now. So it’s like, “Act fast,” and I think a lot of customers can see through that. But that’s an interesting point, too, about attracting the wrong kind of customer on unqualified leads or customers that are ultimately going to be a drain on your resources – maybe on the customer success side. Dan Levy: You mentioned a statistic that Brian Clark of Copyblogger and others have written about, which is that 95 percent of the most effective headlines from the early years of magazine advertising were actually eight words or fewer. Eight words aren’t that much, really, but are eight words really enough to be ultra-specific about a complex offer? Marc Aarons: The answer is, again, yes and no. It depends on the offer so I actually want to give both examples. So in the example where it’s “yes,” then sometimes it’s actually possible to really boil it down and really just get the core benefit or the core driving question down. And speaking of core driving question, that gets a little bit into the “no” part because the real purpose of any headline and subheadline is to just get them to continue reading the copy. That’s it. You just want them to read on. That is the whole purpose. And once they read the first line, the purpose of the first line is to get them to read the second line, and so on and so forth until they get to the call to action. And then finally, the whole purpose of all of that buildup is to then get them to click that button, opt in, or make a purchase. Dan Levy: Right. To go back to the yes and no thing and your post – with the caveat that of course all of this needs to actually be tested on your landing page. But you say if all else fails, you could seduce them with empathy. Recently, I actually spoke to Andy Crestodina about approaching your content marketing with empathy, but what does empathy mean in regards to copywriting? Marc Aarons: So this is a great question, and I actually think of Brené Brown and her Ted talk on empathy, which if everyone hasn’t gotten a chance to look at it, I would highly recommend it. But what she says is empathy is feeling the emotions that someone else is feeling, and it can actually be taught and practiced. And the way that comes into copywriting is the best sales pages of – I was actually recently at a nine figure direct response company just earlier on this weekend, and everybody agreed that as you’re writing the copy, the more you can visualize one single person that you’re writing this letter to is the better the copy comes out. Because that’s exactly what it is – it’s writing a letter. So if you can have empathy for the single person who is the customer avatar of your audience, then you’re headlines get stronger, your subheadlines get stronger, your calls to actions get stronger, and your bullets and benefits also get stronger. Dan Levy: I have to admit that as a writer myself, sometimes the idea of applying formulas to the writing process feels – I don’t know. I’m not going to say soulless, but in some ways, the opposite of a more human-centered approach. You seem to be suggesting that this kind of framework can actually help you be more empathetic, which is interesting. Marc Aarons: Yes. It’s so funny because formulas I kind of see as boundaries. They’re almost like the walls of a house. We know that when we walk into a house that we’re safe. We’re home. Those boundaries allow us the freedom to express ourselves within this safe space. So in some ways its structure can provide freedom. Dan Levy: Yeah, that’s the way it is with any parts of the creative process. When you’re given just a blank page and told, “Free write,” it’s super, super daunting. But when you’re given some sort of boundary, some sort of guideline, then all of a sudden, it kind of opens that creative part of your mind. Dan Levy: Great. Thank you so much for taking the time.